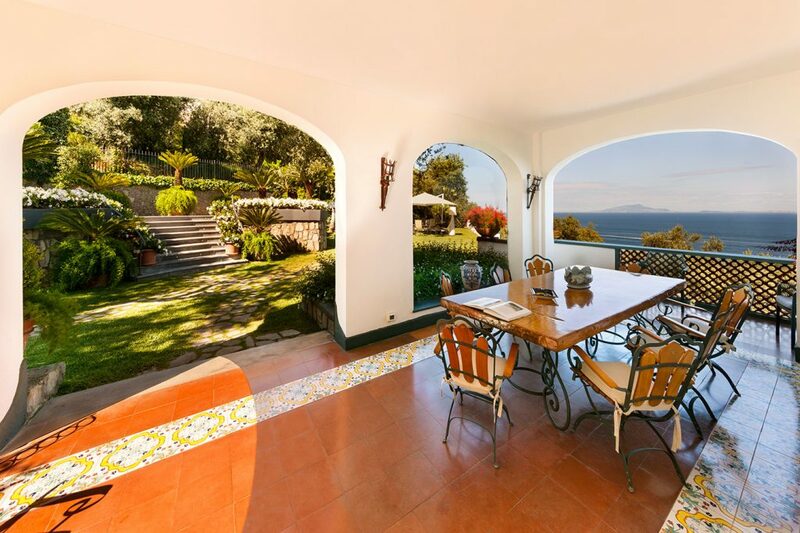 Villa Serena Sorrento is a luxurious and cozy mansion which expands over 300sqm area (3230 square feet) and from where it is possible to relax with a breathtaking view of the Bay of Naples and Vesuvius. The Villa can host up to 10 guests with its 5 bedrooms. 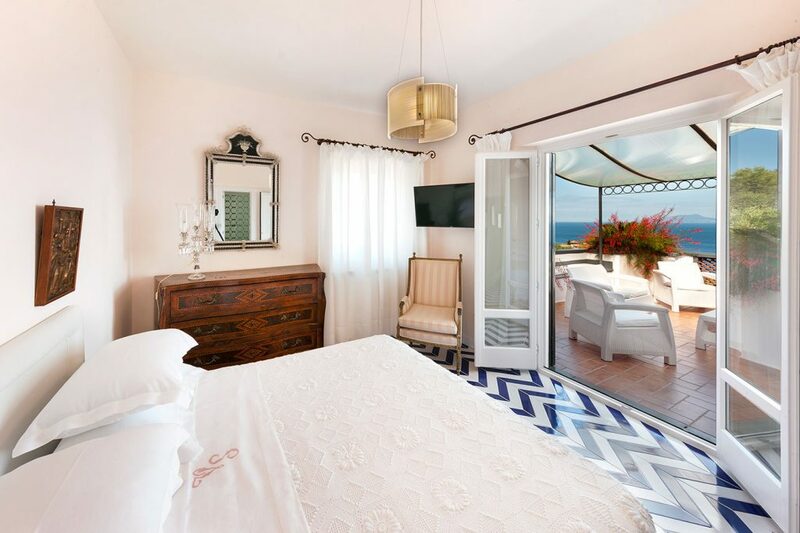 It provides a private swimming pool, private terraces overlooking the sea, a private garden, and is equipped with air conditioning, heating and high speed wi-fi.Bedrooms: All bedrooms are furnished with all necessary. Every bathroom has shower, no bathtub.Only 1 of the 5 bedrooms does not have a private bathroom available.On the top floor through the corridor there is situated the first bedroom with a double bed (160 cm/62 inches, wider than a queen-size bed), private bathroom and terrace. The second bedroom is also located on top floor and has a double bed (160 cm/62 inches, wider than a queen-size bed), private bathroom and terrace. The third bedroom is on the top floor aswell, with two french beds (120 cm/47 inches) and terrace with sea view. This room has no private bathroom, which however is located in the corridor. 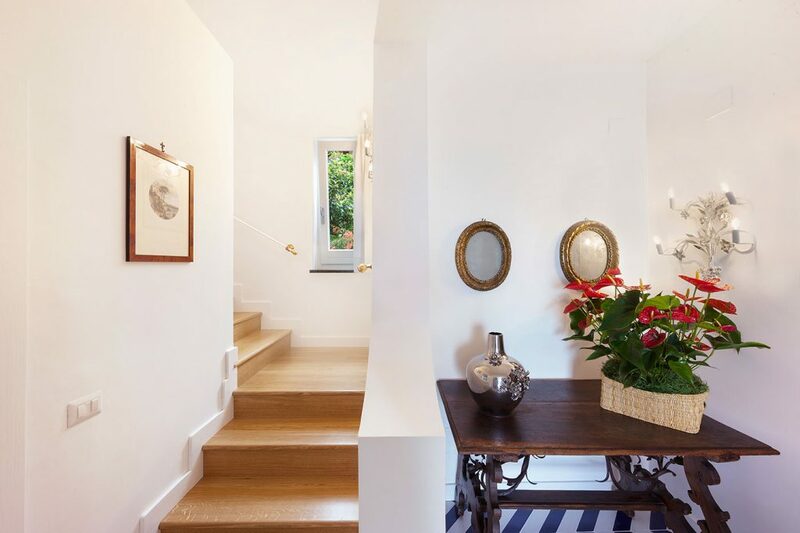 On the ground floor is situated the fourth bedroom, with double bed (160 cm/62 inches, wider than a queen-size bed), private bathroom and terrace. The fifth bedroom is also located on the ground floor and has a double bed (160 cm/62 inches, wider than a queen-size bed), private bathroom and terrace. 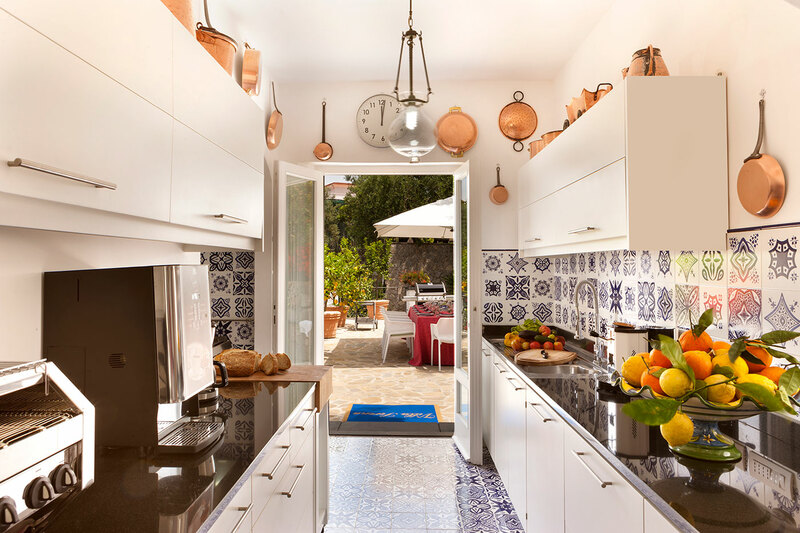 The city of Sorrento is only about 2 kilometers away from the Villa and walking distance from restaurants, shops and the SITA bus stop for the Amalfi Coast. The characteristic beach of Puolo with its fisherman village is just 2km nearby (about 1.25 miles). Within 1km (about 0.6 miles) the beautiful historic site of “Bagni Regina Giovanna”, well known for the legend of queen Giovanna who used to swim in the natural seawater lagoon inside the ruins of an ancient Roman Villa. You do not need a car to stay at Villa Serena, but if you do have one, you will be able to park it free of charge inside the entrance gate if available. Just the right spot to chill and enjoy your meals. The villa is surrounded by centuries-old olive trees, from which we produce a top quality oil. The garden is filled with colorful plants and flowers and is been well taken care of by the owner.